At present the SLFVH membership stands at approximately 3000 persons from all walks of life, races and religions. The activities of the Federation are administered by an Executive Committee. The activities in the provinces are co-ordinated through a network of district branches. In the structure of the Federation the district branches play a major role. The eight district branches have demonstrated significant improvements in the recent years. 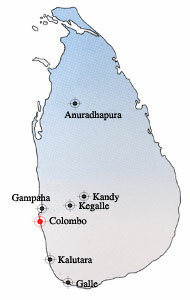 In the forefront are the Gampaha, Galle, Kurunegala and Kandy branches.